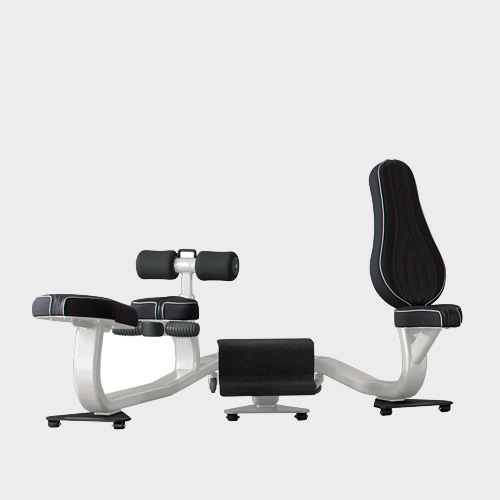 Thanks to the combination of the three external benches, of the 3 accessories and of the infinite possibility of arms adjusting, Inside allows to effect more than 300 different exercises. 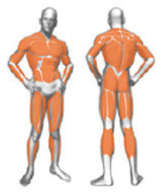 In the product there is an illustrative chart with 24 workouts for upper, lower, core and sport. Inside means maximum versatility for the Personal Trainer. 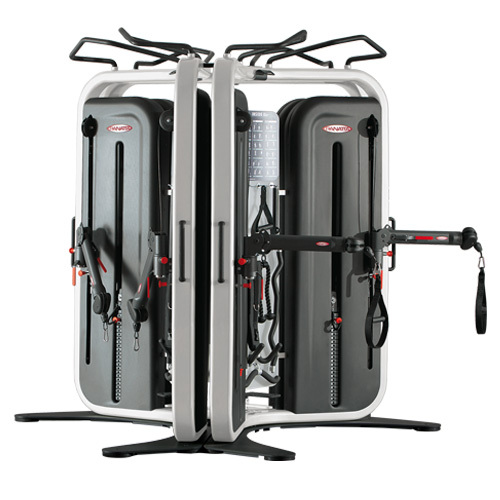 On the same machine a single person can train or two or more people, taking advantage of the separated handling of the exercise arms and the presence both of lateral handles and of connections for accessories suspension training. Inside has been designed to be combined in the space in various ways: wall or at the center of the room. It also allows training of small groups of users or circuit training, possible with two or more Inside machines arranged on the wall, star or back to back. 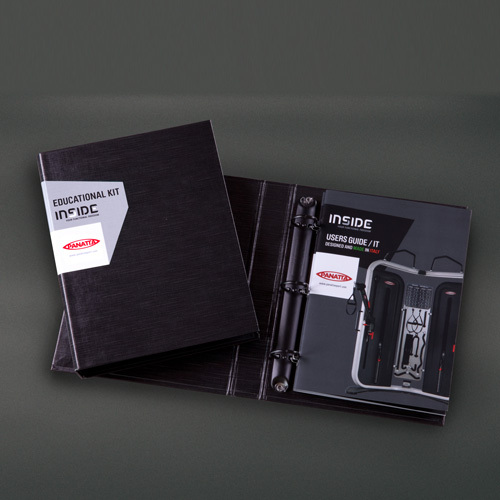 Inside has been designed to meet all needs training, both for the athlete and for the no professional user. 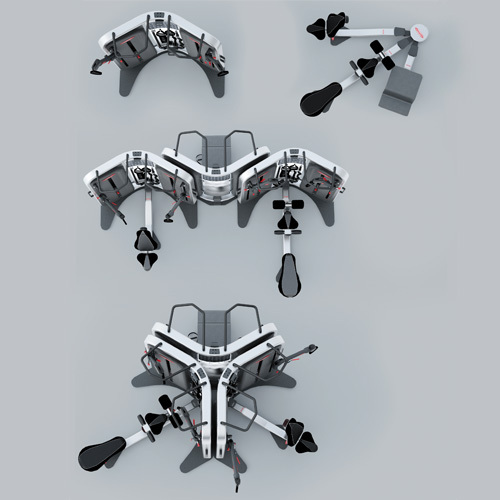 Thanks to the several arms adjustments, to the 8 accessories and to the 3 external benches , it can be effected more than 300 exercises, that allow a functional training, isotonic, sport, rehabilitative and postulating. With Inside the Personal Trainer and the Fitness Club can apply the various proposed types of training, in a minimum space. Wall or at the center of the room. Combination of multiple Inside machines with the possibility of forming a real partition wall. Suitable for training small group or circuit. Union of three Inside machines. Suitable for training small group or circuit. 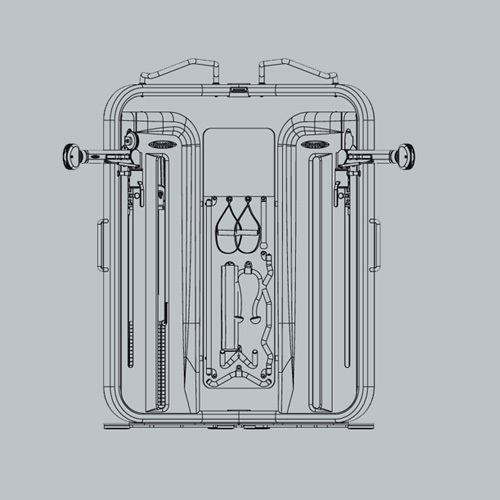 Inside is the only product capable with its versatility to synthesize and improve what has been yet available on the market. 3 External Tools for an always different workout! 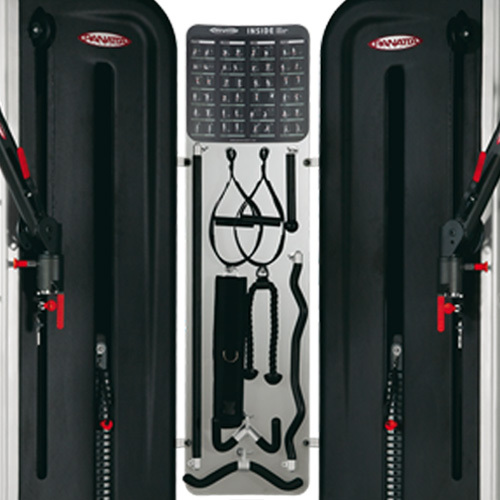 A rack allows to position the three available accessories and to use them as needed. Panatta Sport also provides a valuable support for the training of its customers: Inside Educational Kit. A complete Users Guide and an interactive dvd with no less than 120 videos provide our customers an effective training.